Creating an online survey can sometimes be a team effort with multiple people all bringing their own ideas to the table – so we decided to make this easier for you! You can now create teams and invite others to collaborate on your surveys. You can invite any other person to join your team and there are no limitations on how many team members you can have. 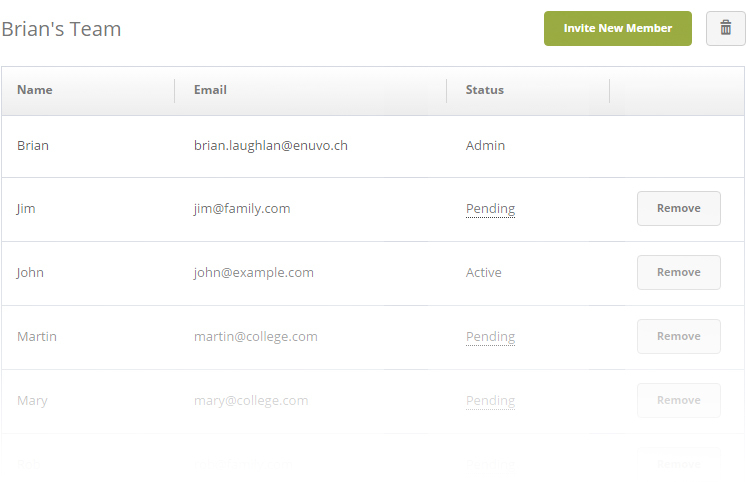 You can define granular access to surveys, easily managing which surveys should be visible to which members. Team collaboration also makes everything more secure since every member will have their own log in credentials, avoiding the security risk of having to pass around a password between different people. With multiple choice questions, you define what answers should be shown and the participant can choose from one (or more) of those answers. Most of the time this is fine, however, sometimes the answer the participant wants to give is not available. It is in these cases that it would be great to have the ability for the participant to simply type an “other” answer from the available options. Well, starting today, we are happy to announce that this feature is available to use! Simply check the “Other” option in question settings to add the text box. Any answers typed here by the participant will then appear in your results!